The technological industry has expanded exponentially over the past years and it has come into all parts of our lives. The advent of the wearable devices has allowed us to think of how such devices can help in our lives. With the more commitments and lesser time to keep fit and stay healthy, wearable technology offers a solution to make staying healthy an easier and more convenient experience. Hitachi eBworx had the vision of riding on the trend of wearable devices to develop a health application ahead of the launch of the Apple Watch. With that in mind, Hitachi eBworx approached UXStudio with the intention to collaborate and design a health application targeted at the customers of insurance companies. To use the wearable technology to provide a more engaging and personalised health and wellness information for users. 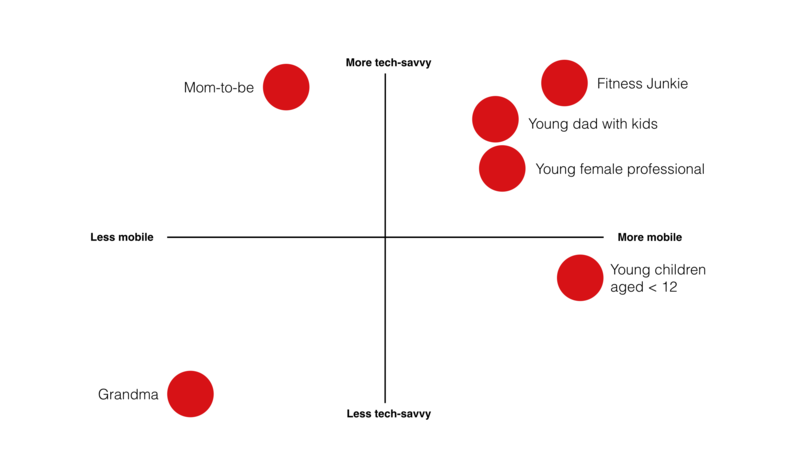 We identified several different personas, each with different motivations and goals for using a wearable health application. Our user research looked at potential or existing customers of insurance companies. Looking through the major events in their lives, we identified the points in their lives when they will most likely use the health application. Through brainstorming sessions with Hitachi eBworx, we decided that a fitness tracking app that helps to monitor the user’s physical activities as well as calorie intake would best fit their vision of a wearable health application for insurance clients. The mobile health application acts as a collective platform for the users to monitor behaviours related to health. Using the health metrics collected from the user’s synced Apple Watch, the app is able to collate and display relevant information to the user as well as useful tips and health advices.The app allows them to set fitness goals, and suggests simple exercise regimes to help achieve their goals. Notifications can help to prompt and remind users to keep fit and healthy. To make exercising more fun for users, we added game-like aspects to the application. The wearable health application can be linked to their profiles to compete with friends on leaderboards, the social aspect of the application can allow friends to motivate each other by competing on the leaderboard. The application also included a loyalty rewards programme. By allowing users collect points and unlock fitness levels and rewards, we can encourage users to continuously aim to achieve the next level and therefore making exercising a fun and motivating process. 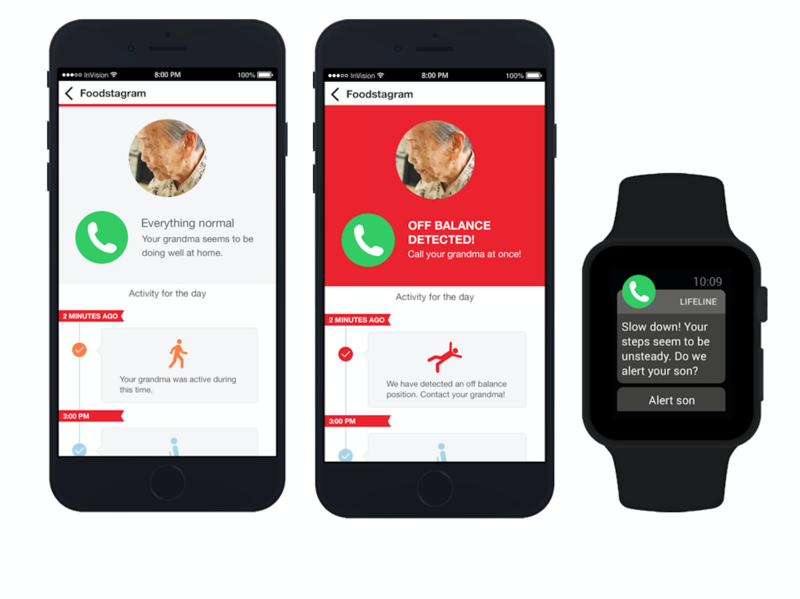 Aside the fun and engaging features that allows the users to take care of their own health, we have features which allow users to monitor the health of their loved ones, especially the elderly. Users can remind their elderly family members to take their medication through the application, as well as monitor their wellbeing through real-time monitoring of their heartbeat. The application together with the apple watch then also serve as another convenient platform for them to communicate.